On behalf of the Trust I am pleased to provide you with the latest ratification results and at this stage we are now waiting for the Minister’s report and will keep you abreast on these developments as they come to hand. We would like to acknowledge and thank everyone who has voted and determined the way forward for our hapu and future generations. 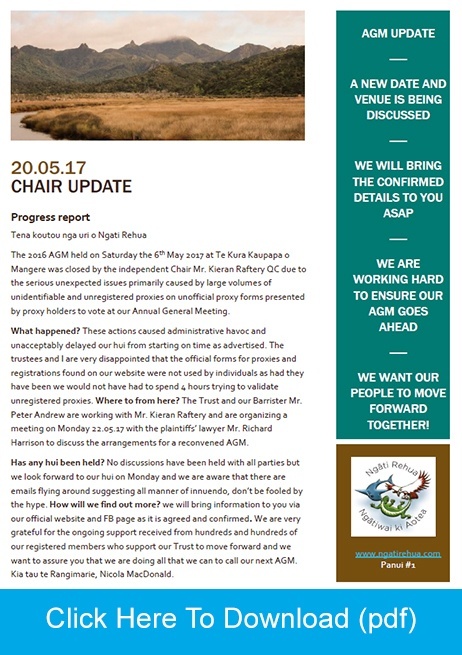 Annual General Meeting (AGM) notices, forms and news. 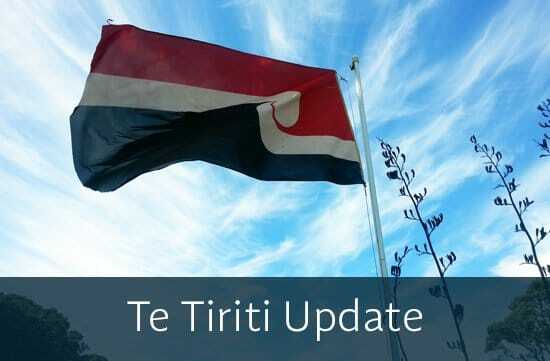 Ka tangi Tūkaiāia ki te moana e haere ana a Ngātiwai ki uta. Ka tangi Tūkaiāia ki uta e haere ana a Ngātiwai ki te moana. Ngāti Rehua affiliates to Ngāti Wai. Aotea, also known as Great Barrier Island, is the ancestral land of Ngāti Rehua Ngātiwai ki Aotea. 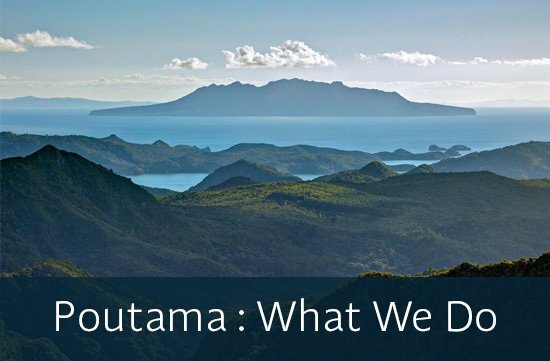 We are the tangata whenua and mana whenua of Aotea; Hauturu-a-Toi; Pokohinu; Rakitū; Rangiahua and other outlying islands, rocky outcrops and seascapes. We have two marae located in the north of Aotea; Kawa and Motairehe. 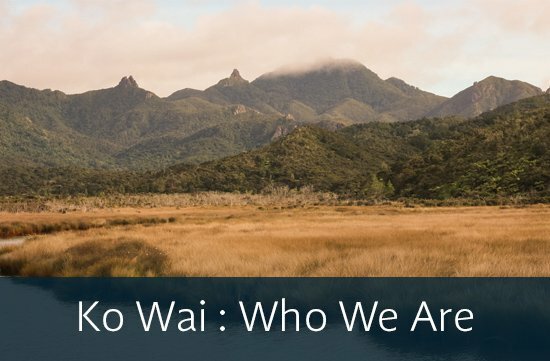 We also acknowledge our whakapapa connections to whanau and marae at Whangaruru, Whananaki and Matapōuri. Ngāti Rehua have occupied Aotea exclusively and undisturbed since the 17th century and we hold fast to our ahi kā roa for the benefit our tamariki, mokopuna. “Aotea moutere rongonui, Aotea whakahirahira, Aotea utanganui, Aotea taonga maha, Tihei wā mauri ora”.